Herbert Giesbrecht was born in 1925 in Wohldemfurst, Kuban colony in Russia. His family immigrated to Canada in 1926 when he was 11 months old. At first they lived in Saskatchewan but in 1933, they moved to Yarrow, British Columbia and later to Vancouver. He received his education in Vancouver and in 1948 he graduated from the University of British Columbia with a B.A. in English and Mathematics. He later attended the Mennonite Brethren Bible College in Winnipeg where he earned a Th.B. in 1955. He went on to complete three graduate degrees – an M.A. in Special Education from San Francisco State University (1956), an MLS in Library Science from the University of Minnesota (1967), and an M.A. in English from the University of Manitoba (1978). Herb Giesbrecht was the first librarian at the Mennonite Brethren Bible College and served there for 35 years. He was ordained as a lay minister in the Elmwood MB Church in 1970. In the late 1950s, while teaching English and serving as librarian for MBBC, Herb, on his own, began collecting what was later to become the beginning of the archival holdings of the Mennonite Brethren in Canada. His early collection consisted of yearbooks, pamphlets, photos and clippings. He notes: “These materials interested me and yet were not to be catalogued in the usual way and so I simply put them aside in the anticipation of a future archive collection.” The material eventually grew into the Centre for Mennonite Brethren Studies and finally, in 1979, into a new 1500 square foot facility. Giesbrecht’s specific contributions to the archival scene are many. Besides being the motivating force which eventually prodded the conference to establish an archives, he also developed a classification scheme for archives, presently in use at other MB archives in California and Kansas. He was instrumental in developing a preliminary subject heading list which has been used to index the Zionsbote, Wahrheitsfreund, and the Mennonitische Rundschau. For genealogists the obituary files, which Giesbrecht began, comprise a ready source of information for family research. After his retirement from MBBC in 1990, Herb worked for 6 months at the Centre for MB Studies cataloguing the Ben and Esther Horch Music Collection consisting of at least 900 books (hymnals, choral works and books on music), numerous orchestral scores, octavos and audio tapes. He began research on several projects, specifically related to the Harder and Giesbrecht family histories. His life ended shortly after he and his wife, Margaret Martens Giesbrecht, had completed a short term MCC assignment in Akron, Pennsylvannia in the fall of 1991. He died in Winnipeg, Manitoba on January 12, 1992. The Herbert Giesbrecht fonds came to the Centre for Mennonite Brethren Studies at various times. In 1986, he donated Colloquia, written by Erasmus in 1683, now in the J.A. Toews Library. On 6 June 1994, his wife Margaret, of Winnipeg, donated genealogical material about the Giesbrecht and Harder families, collected by Herb Giesbrecht, now in the Katie Peters Genealogical Collection files. In August 1994, Margaret Giesbrecht donated her husband’s original papers and printed materials now found in the Herbert Giesbrecht personal collection fonds. Other related materials are the Archival Studies Literature collected and organized by Giesbrecht, and Mennonite Brethren Bible College Records of the Librarian, 1956–1989, (0.38 cm of textual records), found under B242.8. In April 2005, Margaret Giesbrecht again made a donation of Herbert's sermons and Sunday School outlines. The Herbert Giesbrecht fonds consists of articles and compilations by Giesbrecht and papers he wrote as an English student. Also included are Giesbrecht’s notes on Mennonite Brethren Bible College board minutes 1944–1950, his place of employment. Course outlines for the various subjects taught by Giesbrecht are in this fonds. There is also a small file of correspondence relating to the Centre for Mennonite Brethren Studies. A one-hundred page document, created by Giesbrecht, on the history of Mennonite Brethren missions demonstrates his interest in that subject. A large portion of this fonds consists of a collection of research material, filed alphabetically according to subject, of interest to Giesbrecht but not created by him. Some of these files also contain a small amount of material written by Giesbrecht. The tapes, now located in the CMBS tape collection, consist of a sermon (1976), a presentation on Anabaptism (1975), several MBBC chapel presentations (1976), and a symposium on the subject of influences upon MB theology (1981). The accession numbers are 1986–1, 1994–28, and 1994–42, 2005-012. Finding aid for tapes: NA-01–043, NA-04–15, NA-04–29, NA-04–52, and NA-14–26. 1 folder of textual material. This series contains tributes by Ken Reddig, David Ewert, and an article about Giesbrecht called “Reflections of a reticent bibliophile,” author not stated. Also included is a memorial card. Location: Volume 959, file 1. II. Herbert Giesbrecht compilations and research files. 12 cm of textual material. This series contains articles written by Giesbrecht, papers written when Giesbrecht was a student, and a small folder of correspondence. Also included are research files, by Giesbrecht, which include his reflections on education at MBBC and a history of Mennonite Brethren Missions. Location: Volume 959, files 2–15. III. Herbert Giesbrecht course outlines and teaching notes. 7 cm of textual material. This series contains outlines and notes created by Giesbrecht for the classes he taught at Mennonite Brethren Bible College. Location: Volume 960, files 16–22. IV. Herbert Giesbrecht research subject files. 1.5 cm of textual material. This series consists of research files on subjects, alphabetically arranged, about theological and current popular issues. Location: Volume 960, files 23–95; Volume 961, files 96–231; Volume 962, files 232–337; Volume 964, files 338–459. V. Herbert Giesbrecht sermons and Sunday School outlines. 22 cm of textual material. Language in English with some German. Location: Volume 958, files 1–18; Volume 963, files 1–18. Series I: Herbert Giesbrecht tributes. Volume 959. Tributes to Herbert Giesbrecht and other articles. – 1990–1992. Series II: Herbert Giesbrecht compilations and research files. Volume 959. Articles and compilations by Herbert Giesbrecht. – 1966-[198-]. 2:1 Herbert Giesbrecht articles and bibliographic essays. – 1985. 2:2 Some selections aids for Church-related college libraries. – 1985. 2:3 In the beginning: the establishment of the Mennonite Brethren Bible College. – 1984. 2:4 Review: Economics with wit and style (The age of uncertainty – Galbraith). 2:5 Review: F.F. Bruce, The Gospel of John: Introduction, exposition and notes – 1985. 2:6 The Evangelist John’s Conception of the Church as delineated in his Gospel. 2:7 From small beginnings. – 1976. 2:8 A Giant in the land: recent literature on C.S. Lewis. – 1973. 2:9 Review: In search of my brethren: a review of Jacob P. Bekker’s Origin of the Mennonite Brethren Church. – [19-]. 2:10 In search of discipline: ethical covenants and codes in the local church. – 1976. 2:11 Review: Pries, George David. A place called Peniel: Winkler Bible Institute. – 1925–1975. 2:12 A bibliography of J.A. Toews’ published writings. – 1979. 2:13 The Church College Library – possiblities unlimited. – 1966. 2:14 Obscenity in literature and art. – [197-]. 2:15 In the college library. – 1966. 2:16 Church growth and Christian spirituality. – 1985. 2:17 The minister’s library. – 1983. 2:18 Skit: Scene 1 [Payment by faculty member for the coffee]; Scene 2 [Faculty meeting after coffee break]. – [198-]. 2:19 Dramatic reading: The college parish: an ancient dialogue overheard again recently. 2:20 Seeking a faith to live by: a review of modifying influences upon the faith confessed by the Mennonite Brethren Church. – 1980. Correspondence, four letters. – 1980, 1981, 1989, 1991. Dicken’s place in permanent literature. – [196-]. Is Milton a Christian? – [196-]. The Pilgrim’s progress. – [196-]. Patterns of imagery in G. Meredith’s “A Ballad of Past Meridan.” – 1962. Five papers by Herbert Giesbrecht. 8:3 A Brief Consideration of Surrey’s Blank Verse. 8:4 The Literary Criticism of William Haxlitt. 8:5 A Brief Analysis of Several Poetic Translations of The Seafarer. Shakespeare’s use and adaptation of source material in Othello – 1969. Some reflections on the significance of the Ingeld-Freawar episode in Beowulf. – 1969. The uses of love in Julius Caesar. – 1969. To see again : the theme of illusion and reality in F.P. Grove’s, Fruits of the Earth. – 1972. Influence of Education upon the Theology of our Mennonite (Canada) Symposium. – 1980. Notes on College board minutes. – 1944–1950. History of Mennonite Brethren Mission. Series III: Herbert Giesbrecht course outlines and teaching notes. Volume 960. Supplementary materials for major Christian writers. English 11: Neo-classic and Romantic Literature. Unclassified material (Some notes by Herbert Giesbrecht). 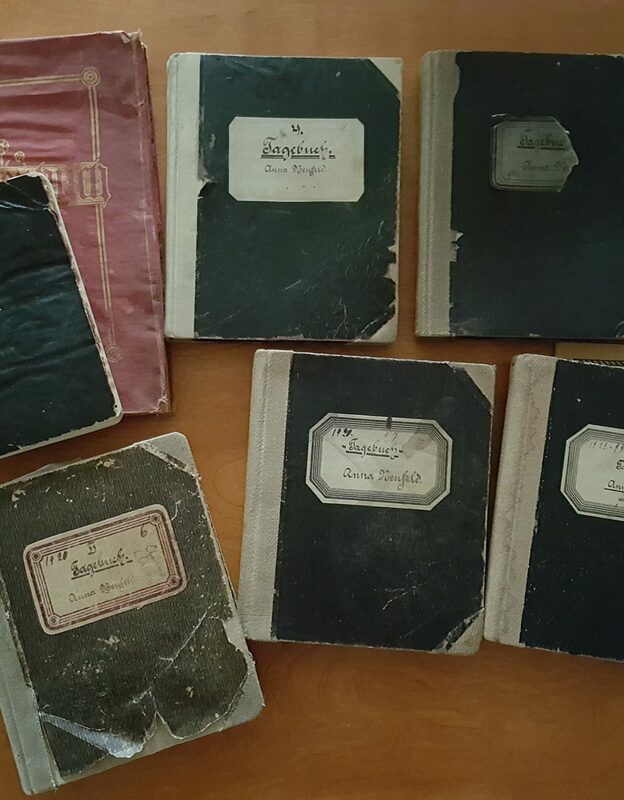 Series IV: Herbert Giesbrecht subject files. Volumes 960–962, 964. Aged – needs and accomplishments. Apocalyptic Literature in the Bible. Bible – Authority and Inspiration. Bible – Difficulty and Discrepancy. Bible – Versions and Translations. Christianity and the Christian Faith. Church and the Political Order/State. Counselling – Pastoral and Psychological. Culture and the Christian Faith. Discrimination – Social or Racial. Evangelicalism – as a movement. Goal – A Sense of Goal in Life. Healing – Miraculous and Natural. Job and Joel – Books of. Jubilee – Year of (Israel). Libraries and the Church Pastor. Love – Human and Christian. Man – Frailty and Fallibility. Memory – Gift, proper use of. Minds – Importance of use of mind by Christians. Muslim Religion and Witness to. Nature Balance and Beauty in. Nuclear Warfare and Protest against it. Prison – Letters of Paul. Providence of God in Personal Life. Reading Literature and the Christian. Social Ethics and the Church. Thought Life of Man (Mental). Video – Recording and Influence. Story telling in Homiletics (Preaching). Technology and Human Society (Survival). Women/Role of in the Church. Series V: Herbert Giesbrecht Sermons. Volume 958. I and II Samuel. -- ca. 1966. I and II Kings. -- n.d. Chronicles of Ezra. -- n.d.
Book of Esther. -- ca. 1982. The Psalms. -- ca. 1970-1980. The Prophet Isaiah. -- 1974. The Book of Job, Prophet Jeremiah, Daniel, Amos. -- n.d. Gospel of Matthew. -- ca. 1967-1978. Gospel of Mark. -- ca. 1969-1988. Gospel of Luke. -- ca. 1972-1991. Gospel of John. -- ca. 1961-1990. Acts of the Apostles. -- ca. 1966-1979. I and II Corinthians. -- ca. 1978-1989. Herbert Giesbrecht Sunday School Outlines. Volume 963. Titus and Philemon. -- ca. 1972. I Peter. -- ca. 1986. I John and Revelation. -- ca. 1974-1988. Topics beginning with C. -- ca. 1970-1982. Topics beginning with D-H. -- ca. 1977-1979. Topics beginning with J-N. -- ca. 1971-1989. Topics beginning with P-W. -- ca. 1972-1991. Sunday School outlines and studies. -- n.d.